To live in language is to keep flowing, as far as the stream will take you. 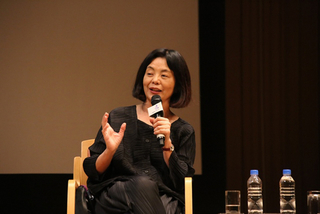 In her acceptance speech for the Japan Foundation Award 2018, the writer and poet Yoko Tawada alluded to the quiet creativity of such a life in words. Singling out the Chinese character 流 for "flow," she connected it to her own work and—as in the title of her most recent novel—that of other writers who are "scattered over the earth." As an astounding amount of information circles the globe at lightning speed, the flow of words, like a hidden stream, crosses all borders to seep into people's hearts, producing, as a sort of residue, literary works that contain a wide variety of elements, but that all have one—breath—in common. What Tawada captures in Memoirs of a Polar Bear is the breath that is passed on through three generations of polar bears, giving them life, and finding its final resting place in a book. In Scattered Over the Earth, a young man named Knut—also the name of the polar bear at the Berlin Zoo who enjoyed great popularity early in the twenty-first century—encounters a number of people, beginning with a young woman in exile from a Far Eastern archipelago, with whom he travels from place to place. The movement of the breath that lives in them as they cross barriers of language, ethnicity, and gender, is depicted along with the brilliance of the words that emanate from it. 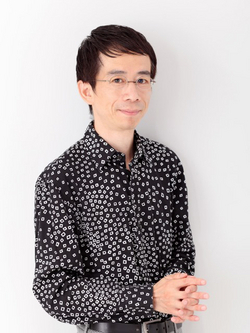 The composer Toshio Hosokawa, who along with Tawada received the Japan Foundation Award 2018, has also focused on the dynamism of breath in composing his music. One of his works that shows this most clearly is Atem-Lied for bass flute (1997). Two days after the awards ceremony, following a conversation between Hosokawa and Tawada, the flautist Yoshie Ueno gave an outstanding performance of this work. The melody of this piece, which moves like a line written with a strong yet intermittently faint brush stroke, emerges from the circular motion of breath like a whirlpool drawing in its surroundings. Hosokawa's music is a song that takes the form of a crossing between this world and the next. In his acceptance speech, Hosokawa compared his music to "Hashigakari," the bridge-passageway on a traditional Noh stage. In Noh plays, the souls of the dead cross this bridge to the world of the living, where they sing of their suffering during life. This frees their souls from the anguish with which they have been obsessed, and, having found salvation, they return to the world of the dead. Hosokawa sees his music as a medium for the experience of the sort of cathartic purification that comes from crossing between these two worlds. This sense of bringing the spirit of the Noh drama to life in the present day was perhaps deepened in him while he was preparing for the first performance of his opera Matsukaze (May 2011, in Brussels), based on one of Zeami's Noh plays, in the midst of the shock following the Great East Japan Earthquake. 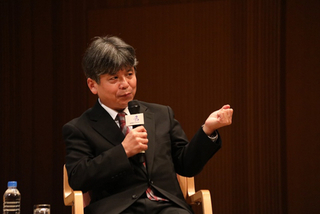 Composer Hosokawa (left) and writer and poet Tawada (right), recipients of the Japan Foundation Awards 2018. After Matsukaze, which was performed at the New National Theatre Tokyo in February 2018, Hosokawa wrote two operas in collaboration with the playwright and director Oriza Hirata, both of which delve deeply into the suffering of people who must live on after experiencing disasters that defy description. The first, Stilles Meer (Silent Sea, first performed in Hamburg in January 2016), deals with the loss of family to the tsunami following the earthquake; the second, Futari Shizuka—The Maiden from the Sea (first performed in Paris in December 2017), deals with the deaths of family members while escaping from war. By referencing the Noh plays Sumidagawa and Futari Shizuka, these operas bring people who carry the souls of the dead with them throughout their lives into sharp relief. Following these operas, Hosokawa wrote Erdbeben. Träume (Earthquake Dream), which was first performed at the Stuttgart State Opera House in July 2018 to great acclaim. In this opera, based on Earthquake in Chile, a novel by the German writer Heinrich von Kleist who was a contemporary of Beethoven, with a libretto by the contemporary German writer Marcel Beyer, the events surrounding the brutal murder of a couple are recalled in the dream of their child, who survives a massive earthquake and the disasters that follow it. Hosokawa's opera tells us that this dream, which informs the child of his origins, will continue to be the nightmare of those of us who are living today. 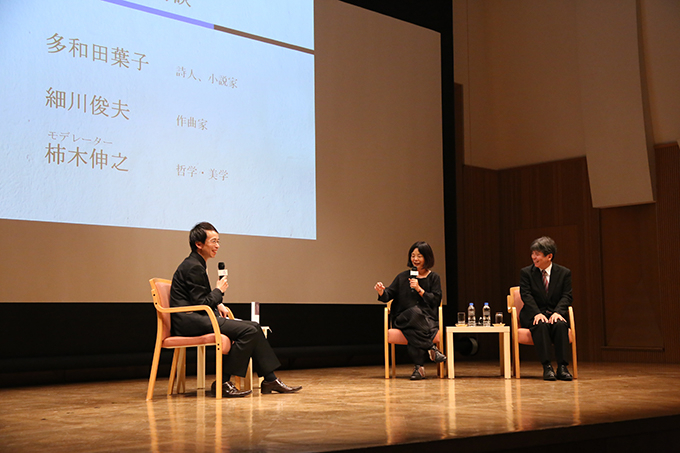 The first part of "Encounter of Souls Crossing Borders," an event to celebrate the Japan Foundation Awards 2018 (held on October 18, 2018 at the JT Art Hall Affinis) was a conversation between Tawada and Hosokawa. After seeing a documentary about the opera Erdbeben. Träume, the two discussed the meaning of this opera. In short, they reexamined, from the point of view of music and literature, the question of what it means to live on after a series of disasters, such as the Great East Japan Earthquake of March 2011 and the ensuing nuclear meltdown at the Fukushima Daiichi Nuclear Power Plant, as well as the flooding and earthquakes that struck Western Japan and Hokkaido in 2018. After viewing a documentary on Hosokawa's opera Erdbeben. Träume, Tawada and Hosokawa discussed the meaning of this opera. Tawada, the 2016 recipient of the Kleist Prize, one of Germany's most prestigious literary prizes, spoke of her deep interest in this writer. She pointed out that while his novel Earthquake in Chile depicts the 1647 earthquake that destroyed Santiago, an important background event is the massive earthquake that devastated Lisbon in 1755—leading the philosopher Voltaire to abandon optimism. Tawada noted that Earthquake in Chile is fundamentally the story of the breakdown of order in the wake of a disaster, and the subsequent rebuilding of society. She also asserted that as society reemerges from the ruins, people lean strongly toward a conservative desire for self-preservation. This is vividly shown in the scene where the crowd, whipped up into a frenzy, brutally murders a couple whose forbidden love has produced a child, along with the little boy who has taken their own child's place. Yet what is most important is to see the disaster—including these murders—through to the end, and to listen to the voices of the dead. In fact, Hosokawa has said that he wanted the work Erdbeben. Träume to be a sort of tunnel, a place of initiation where the audience can experience memories of going through trauma. It was memorable how, during the latter part of this opera when it was first performed in Stuttgart, the strong, elegiac tone of the music mourning those who had met an untimely death seemed to well up from the depths. Disasters that shake the social order to its foundations also expose the power structure on which that social order was based—many such catastrophes are carved into the history of the Japanese archipelago. Carefully observing such a disaster while keeping one's attention focused on those who lost their lives as a result helps us to find a way to live in the present in company with the souls of the dead. When Hosokawa compares his music to the bridge-passageway in a traditional Noh theater, or to a tunnel that serves as a site for an initiation experience, he is touching on the possibility for "song" in its broadest sense to mediate, as a spirit medium would, in bringing these experiences to us. Tawada is a poet who has also written many such "songs." This was clearly shown in the readings she performed in the second part of the Japan Foundation event, from her novel Hikon (Flying Souls). But the series of images that make up Tawada's "songs" are fundamentally evoked by letters or Chinese characters. For example, Hikon depicts the lives of a group of young women who gather to study under a woman with mystical powers, who controls the power of language itself—symbolized by the image of the "tiger" 虎—in the form of an enormous number of texts. These young women, who sleep and eat together while spending their days learning the "original texts" all have names written in Chinese characters, but readers are left to puzzle out the pronunciations of the characters for themselves. In other words, the letters themselves are most important. As they follow the letters that form the text of Hikon, which at times in themselves evoke a sort of inner, spiritual texture, readers find themselves drawn into a forest where they are surrounded by the traces of countless ghostly breaths. As Tawada herself pointed out, novels like this are strangely attractive to musicians. In a planning session for a reading with Tawada, the jazz pianist Aki Takase specifically asked that Hikon be used. Hosokawa, too, mentions Hikon as a work that most clearly shows the shaman-like quality of Tawada's work—the main characters of Hikon all seem to be spirit mediums—and said that this novel would be most appropriate for the reading in his collaboration with Tawada during the second part of the Japan Foundation program. During this second part, the collaboration between Hosokawa's music and Tawada's reading filled the hall with a tightly-knit yet richly involving atmosphere. Between performances of Atem-Lied, his piece for bass flute which was mentioned previously, Gesine (2009), composed for the harp, and the flute solo Vertical Song (1995), Tawada read passages from Hikon, and finally, during the performance of Returning (2001/02), a harp solo to which Hosokawa added a part for bass flute, Tawada read a climactic scene from Hikon, in which one of the characters awakens to the charm of reading texts aloud. 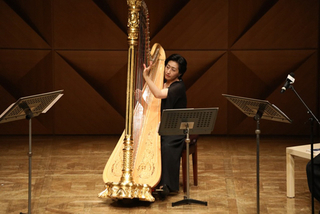 During the second part of the event, the flautist Yoshie Ueno (left) and the harpist Naoko Yoshino (right) performed Hosokawa's music while Tawada read from her novel Hikon, filling the hall with the collaboration between music and literature. 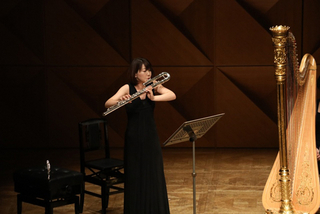 The flautist Yoshie Ueno and the harpist Naoko Yoshino are the best possible performers for Hosokawa's music. Emerging from a deep silence, the low tones of Ueno's bass flute, breath emanating from her entire being, coupled with Yoshino's harp reverberated throughout the hall. Listening to Tawada's reading in the intervals, the audience were drawn into a forest, a space created by the power of words. In the new piece Hosokawa composed especially to accompany the readings from Hikon, the deep sounds of the flute and harp opened up spaces reminiscent of the pond and woods that appear in the novel, and as I listened to the words rise one by one in that multilayered space, I felt sure that this encounter would pave the way for a new collaboration. Although Tawada and Hosokawa have been friends since they met at the first performance of Hosokawa's opera Vision of Lear at the Munich Biennale in 1998, this was their first artistic collaboration and public conversation. Yet in this first performance, with Tawada's voice sometimes blending in with the music and at other times competing with it, as in a symphony, I felt there were already the beginnings of a scene from a future work for the stage. Tawada said that as she does readings, she feels creativity in the new images that arise from the tension between the letters on the page and her voice. 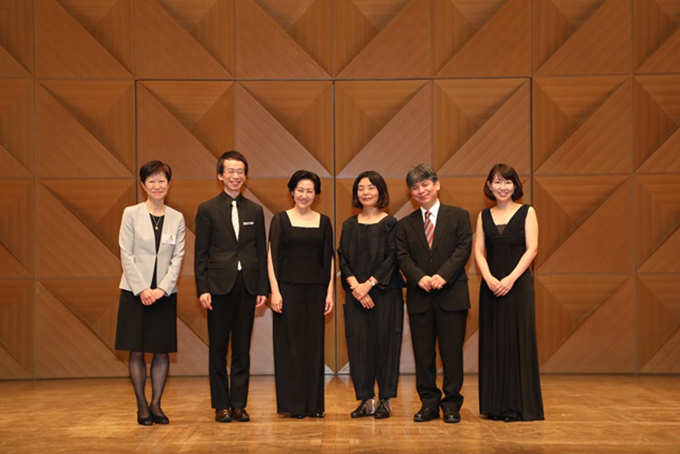 This event to celebrate the Japan Foundation Awards was an "encounter of souls" between Tawada, who writes novels and poems as she travels back and forth between Germany and Japan, and Hosokawa, who likewise travels between Western music and Japanese traditional culture in composing his own works. Both have a deep relationship to Berlin, a city of people who have crossed borders—Hosokawa studied music there, while Tawada has lived there for many years. I hope that, in the near future, these two artists will create a work in which the power of words and song will open up a space where many souls—including the souls of the dead—can breathe freely and respond to one another. Born in Kagoshima in 1970. Nobuyuki Kakigi is currently a professor in the Faculty of International Studies at Hiroshima City University, specializing in philosophy and aesthetics. His studies are now centered on twentieth century thought in Germany and other German speaking areas. He has published books about the linguistic philosophy of Walter Benjamin, entitled Walter Benjamins Sprachphilosophie (Heibonsha), and about Hiroshima, entitled Toward the World Stripped of All at an Instant: Philosophical Reflections Remembering Hiroshima (Impact Publishing), and has translated Toshio Hosokawa Stille und Klang, Schatten und Licht (Artes Publishing). He has contributed about Walter Benjamin's philosophy of history to Shiso (Thought) July 2018 issue (Iwanami Shoten). He has also written on music.